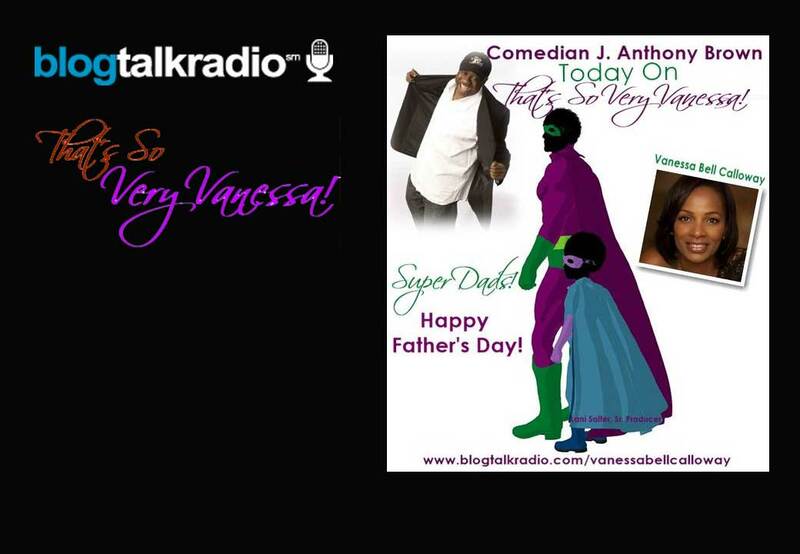 Sunday is Super Dads Day with Comedian, J. Anthony Brown on That’s So Very Vanessa! BlogTalk Radio. J. Anthony Brown is a father, grandfather, and a great-grandfather, so you know we’ll be talking about some hilarious stuff! First time dad and soap star Sean Blackemore, and my good friend Eugene Lucas and his daughter Alixx will also join me to celebrate Father’s Day this Sunday, June 16, 2013 at 3:00 pm PST and 6:00 pm EST.